At the very beginning of planning a business event, it’s important to first look at the four W’s: who, what, where, and when. It might start off sounding overly simple, but trust me, when you get into the nitty gritty of planning, you’ll be thankful for covering your bases early on. Nearly any venue will accommodate your business event, but if you’re looking for something to compliment and elevate what you’re working toward, keep reading. Of all the decisions you’ll make in the course of planning your event, the venue you select will influence all four W’s. In order to ensure you have the right venue to suit your needs, I’m covering some tips for selecting the perfect venue as you’re searching business event locations in St. Cloud and the surrounding areas. Keep the answers to these eight questions in mind when you’re looking for a business event venue. They’ll help you narrow your search and select an ideal location. 1. How many total attendees? All venues have capacity limits. It’s important to have at least a rough estimate of how many people you’ll expect on event day. Keep in mind, you also don’t want an oversized venue, causing your event to appear under-attended. 2. What’s my venue budget? You’ll likely have a particular number budgeted for event planning, it’s important to know what percentage you can allocate for venue rental. 3. What atmosphere does my business event call for? Looking at the existing setup and décor is a great place to start. This is especially important if your business event is going for a particular feeling. 4. Will there be ample, safe parking? Venues with unkept parking lots can be unpleasant for your guests, and on occasion, dangerous. Ensure there is ample parking available. If the number of attendees is large, ensure the lot’s layout will not cause bottlenecks on arrival or departure. 5. How will guests react to the location? There are countless business event locations in St. Cloud and the surrounding areas. Be sure the location is easy to find, and hopefully, searchable using GPS and other digital applications. 6. Is this venue accessible? 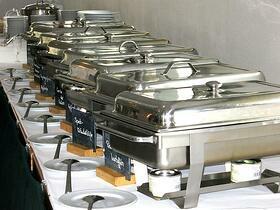 Be proactive about ensuring each of your guests can easily enter and navigate the venue. Also, if any equipment or other items need to be brought in, consider how easy or difficult a given venue makes that process. 7. What amenities come with the venue? Will you need kitchen access? Electrical plug-ins? Temporary storage? Refrigeration? 8. What are the venue’s rental requirements? You’ll want to know if you’re required to purchase catering through your venue or if you can have an outside caterer of your choosing. Sometimes you can have either option, but with an added fee. Will you have access to set up the space the night before? Be sure to figure out what is included and what isn’t before you sign on. 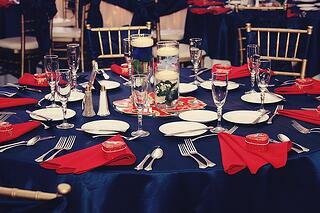 When it comes to business event planning, the details matter. By staying attentive to the details through all stages of planning, you’re laying the groundwork to pulling off a memorable event. When you work with Cutting Edge Catering on your business event in St. Cloud and the surrounding areas, I’ll personally visit the venue with you in order to ensure your guests will have an amazing experience.